August 3, 2016 August 2, 2016 by Beau H.
Editor’s note: To keep up on all things Style Guide-related, check out the site on Facebook. One kit packed with functional grooming products. Photo courtesy of Tread for Men. We’re still in the heyday of summer, and that means that, well, it’s hot. That heat requires that you dress for warm weather, and it also requires you keep skin care top of mind — that’s particularly true when it comes to men’s grooming essentials. An effective grooming routine can be a solid way to start and end your day, especially if you’ve got reliable premium products to use. That’s why it’s been such a treat to check out Tread for Men across these past few weeks. The Chicago-based grooming start-up reached out to yours truly at The Style Guide earlier this summer, and I’ve had the pleasure of testing out the brand’s Energizing Facial Cleanser, Hydration Toner and Firming Moisturizer. It’s all part of the brand’s Daily Skin Care Kit — also known as “The Daily” — which you can conveniently opt to have delivered every month. It’s a bonus that these highly functional products are presented in high-quality, no-frills bottles and containers, — they’d make a wise addition to any routine you already have in place, because it’s product that really works. The Facial Cleanser really does have a renewing, strengthening feel, and the Hydration Toner has noticeably toned my skin when used in conjunction with the cleanser. That goes double for the moisturizer, which works quite well to rejuvenate and rebuild skin. Lest this sound like a lot of steps to you, rest assured that it takes just about as long as it would to pick out a well-composed outfit (and if you follow this site’s #OOTD series, hopefully that’s a snap!). Using these products consistently has made a noticeable difference in how my skin looks and feels, even after just a few weeks — believe me, the results are there. It’s become a welcome part of my routine, and I’d definitely urge you to check these guys out. But what does this really all mean for you, Style Guide reader? It means something very good, indeed. It just so happens that one lucky winner is getting their own Daily Skin Care Kit very soon. All you need to do is enter the giveaway below, stick around for the winner, and we’ll make it happen. Best of luck, and stay for a minute to check out other Style Guide content, including the dopp kits you need to buy now and a stylish dive watch to go with the rest of your outfit. 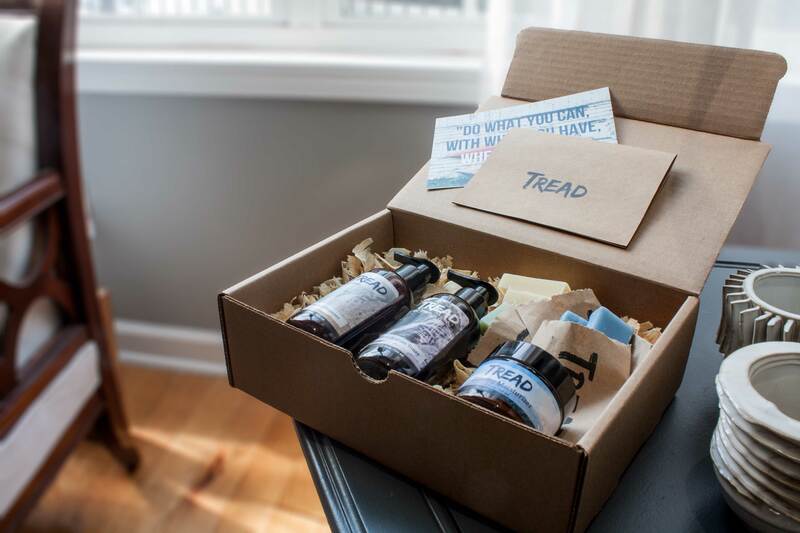 To enter to win the Tread for Men giveaway detailed above, click this link — good luck! Editor’s note: This contest ends at 12 a.m., Thursday, August 4th.